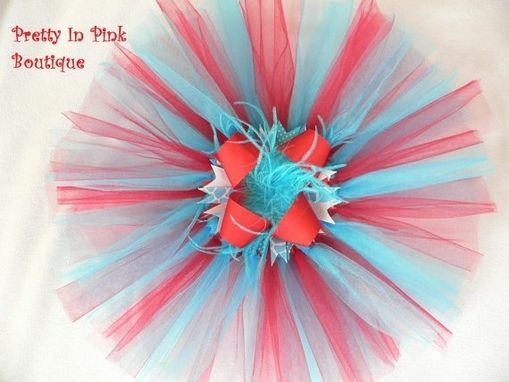 This listing is for a tulle tutu on very stretchy, soft elastic. 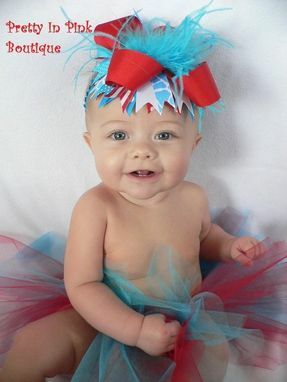 The colors I used with this tutu are turquoise and red and then added a matching grosgrain bow that is finished with an ostrich feather middle. 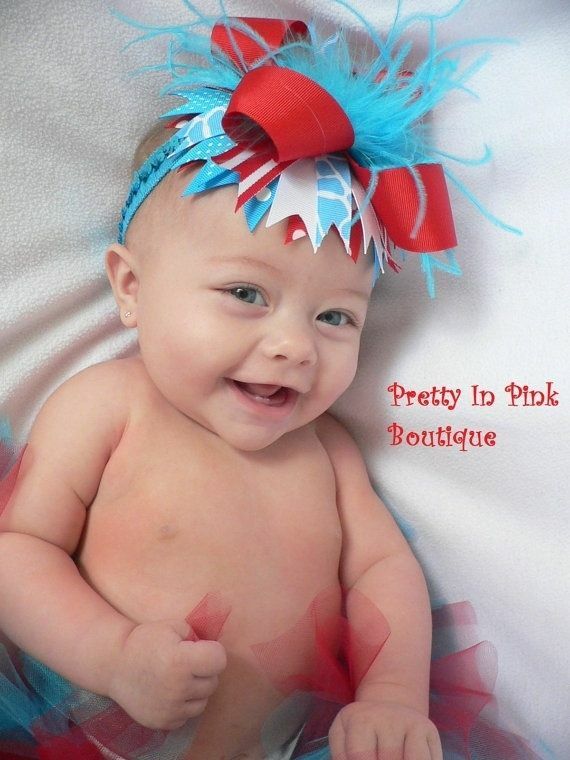 The bow is backed with an alligator clip making it easy to attach to a headband or hat! 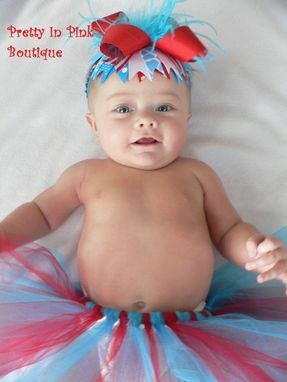 This set is perfect for birthdays, photo props or just to play dress up!